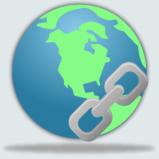 On the right there are links to other useful websites around the world. Please click on the links to visit these sites but please remember to come back here! I have created much of this eclectic collection of material using the brilliant 'Hot Potatoes'. The newer material has been made using what is without doubt the Ultimate e-Learning Toolkit: iSpring Suite.